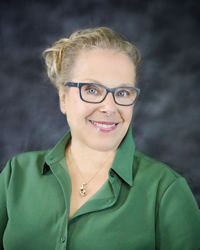 Ms. Heftler is a partner and majority stock holder of IMS, LLC and is responsible for the management of fiduciary and general operations of the company, including executive oversight of Managed Care Network Operations. Prior to joining IMS in 2001, Ms. Heftler’s professional background centered on Consumer Wealth Management, Financial Center Management, and Mortgage Banking – all in an international banking environment. A well-rounded executive, Ms. Heftler’s background also includes Medical Office Management. Ms. Wilhelm’s professional career includes 24 years with a Fortune 500 Company where she held upper and senior management positions. She is certified by the American Management Association in Education and Training, Policy Development, and Public Speaking. Ms. Wilhelm, an IMS partner since 2003, is responsible for Human Resources Management, Education and Training, IMS community outreach programs, and executive oversight of IT project development. Mr. Barberee manages the legal needs of IMS, oversees its corporate and contractual compliance, and advises executive, human resources, IT, and operations management. He is also the Director of IMS’s Privacy Office. Mr. Barberee has been a member of the State Bar of Texas since 2000. 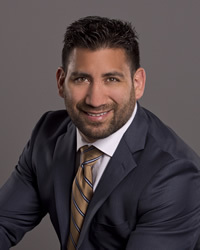 He is a graduate of the University of Oklahoma College of Law and Texas Tech University. Mr. Barberee has twice been recognized as a Texas Super Lawyer – Rising Star by Thomas Reuters Publishing and Texas Monthly Magazine. He has also been recognized by his peers four times with inclusion on the “Top Attorney” list published by Fort Worth, Texas Magazine. Mr. Barberee is active in the Mansfield Kiwanis Club and served as the club’s president. He was also a member of the Board of Directors of Girls Inc. of Tarrant County from 2004 through 2009. Mr. Gonzales joined IMS’s management Team in 2014 after spending 11 years working as upper management in a top 50 Fortune 500 Company. His area of expertise includes managing day-to-day operations, operational shortage, investigations, recruiting, and customer service. Mr. Gonzales attended business school at Northwood University where he obtained a Bachelor of Business Administration. Mr. Gonzales takes pride in his position as Chief Operating Officer where he is responsible for overseeing all aspects of the operations at IMS. In addition, he supervises the business development team and directly reports to the Chief Executive Officer. 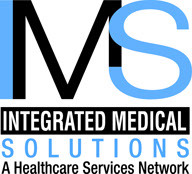 Mr. Theis joined IMS’s team in 2012 after a nearly 20-year career in Medical Device Sales and Sales Management, most recently as Director of Sales and Sales Training. Throughout his career, Mr. Theis has been recognized as an outstanding sales leader due in large part to being a dynamic sales strategist and utilizing a developmental management style. 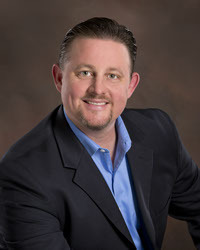 His areas of expertise include sales, sales management, national accounts, business development, and strategic planning. As IMS’s Vice President of Sales and Marketing, Mr. Theis is responsible for development of the Hospital and Physician Provider Networks. 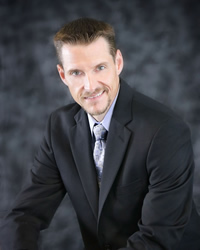 In addition, he assists executive management with strategic planning and direction of the company. Mr. Theis is very active in his community, having served on multiple HOA committees and a parent leadership council for public schools. Ms. Cano joined the management team at IMS in 2010 after 15 years as a successful manager in hospital administrative operations. Her areas of expertise include admissions, finance and collections, and claims processing and auditing as well as commercial health insurance. 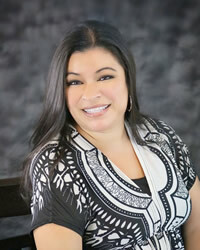 As Director of Operations, Ms. Cano is responsible for managed care network operations. In addition, she supervises the professional development of IMS’s Account Managers. Ms. McNiel has 25 years of experience in the medical insurance field specializing in Medicare methodology, claim administration as well as benefit administration. Donna joined IMS in 2009 and has since excelled in all aspects of correctional healthcare claim system management including the areas of provider contracting, appeal analysis, training, quality control and critical problem solving. 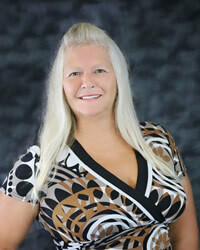 IMS is proud to have Donna as a valued member of our executive team. IMS has entered into a joint resolution with the United States Bureau of Prisons resolving the BOP’s concerns regarding IMS’s former association with the Hudson Group/ Cary Hudson. To resolve such concerns, IMS has taken remedial measures including a corporate reorganization, the implementation of a new Code of Business Conduct and Compliance Program, the appointment of its general counsel as its Ethics and Compliance Officer, and retention of an independent monitor.